[Both New for 2017] Everyone remembers I love strawberry ice cream right? It's not a daily driver for me, but when the mood hits, a nice strawberry flavor can really be great. Now in general, I would do an actual side by side comparison for one of these fights. However, I only ever see the Yuengling's Strawberry ice cream by my work and my free Gelato Fiasco Strawberry Gelato sample is at my home so we are going to improvise a little. Wow. Right on the front end there is a big blast of strawberry flavor. I can't remember the last time that happened. I think I may be in love. I adore strawberry coolattas and this reminds me of a strawberry coolatta. There is certain way that a frozen strawberry blast (from the coolatta) hits you and I'm getting that here. I enjoy Yuengling's fruit based flavors but this is going to be my favorite from them. I don't even want to write words right now because it's interfering with me inhaling this. 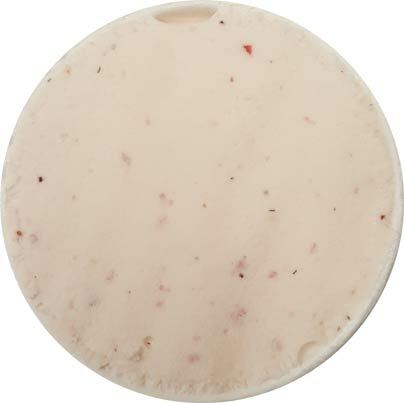 A few times now I've had a "good" strawberry ice cream but it will be more mild than I want. That is not the case here. It's not crazy strong mind you, but it's spot on. 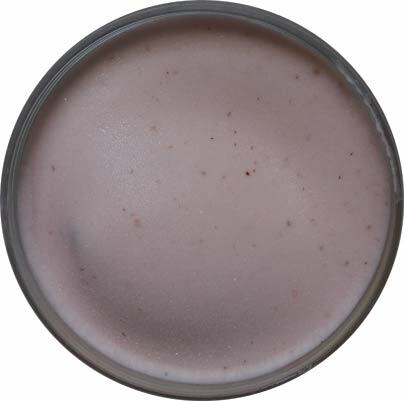 Just a great fresh strawberry taste. 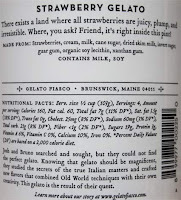 For the Gelato Fiasco take on strawberry, it's basically a question of how good will it be. 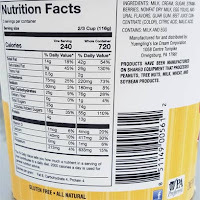 How strong is the base, how big are the strawberry chunks, and what's the overall vibe. Well, the flavoring level is middle of the road. Surprisingly there are no strawberry bits of any sort and they don't go vibrant here by sneaking in a little balsamic. 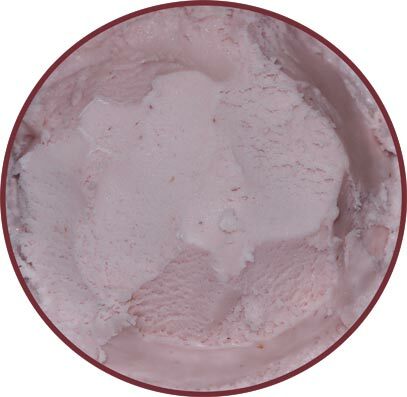 If anything, the short ingredient list winds up creating that very mild cheesecake vibe that you've probably noticed in other berry flavors from time to time. It's nothing strong but it's there if you want to notice it. 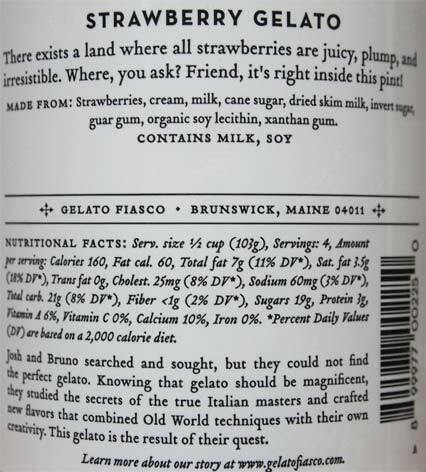 This is just a really straightforward strawberry gelato. It's got a pretty good heft to it without being too dense. 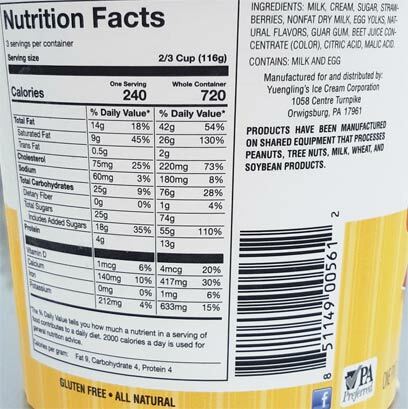 It's not hugely different than a super premium ice cream. It's just here to do it's thing and it's cool with that. This might be the most simple flavor I've had from GF, though I hate saying that because I worry that it has a negative connotation to it. Ok, this wound up not being much of a showdown as both companies have put respectable products in the freezer aisle. 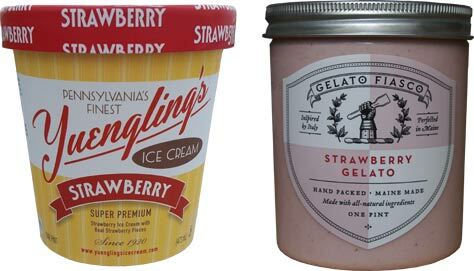 Yuengling's advantage is a lower price while Gelato Fiasco has the better texture, but both are worthy of your time if Strawberry is your thing. Nice job both of you. 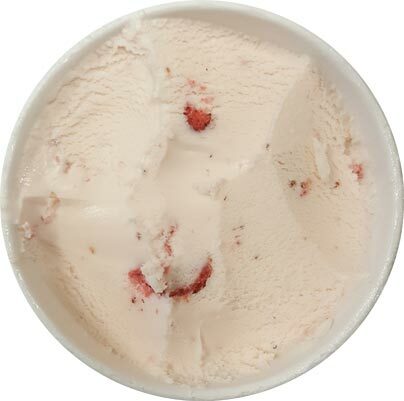 Would you be open to reviewing any strawberry-rhubarb ice creams? That's a pretty popular combination (especially lately, with the seasonal fruits coming into play); or are you keeping it solely to straight-up strawberry ice creams? Hope I'm not asking a dumb question. yay, I love flavor battles. 2nd St (blue bunny) had one as well but I never got around to trying it. I bet some specialty shops have it somewhere... someone must. OMG! Was just hungry for strawberry ice cream for some unknown reason. I am going to the store after I post this .Can't wait!